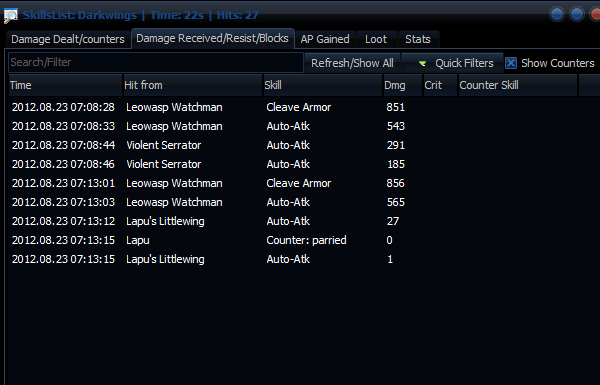 Added support for Bogyguarded hits on the received damage tab. Added support for sm’s “Aegis Breaker” dot. Fixed an issue with the setup process where it failed to enable chatlog if there was no write access to the Aion folder. 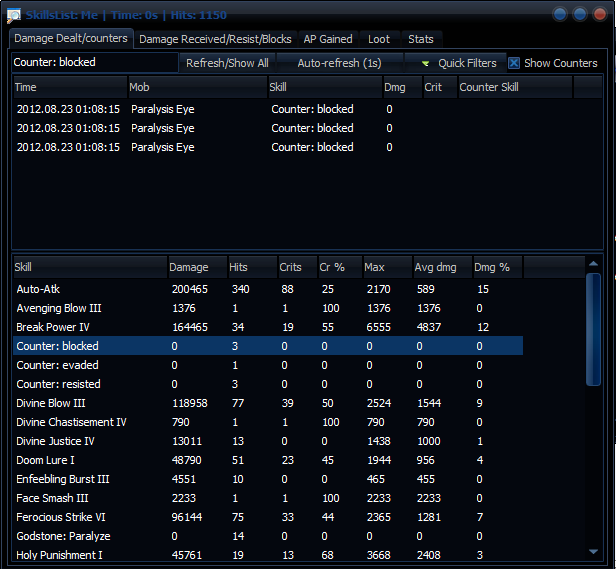 Sys config editor tool has also been updated with the fix. Fixed some issues with 3.0 skills recognition. Updated telemachus hacker warning list. Updated hacker scripts detection patterns. You won’t see much new stuff, but there’s a lot changed in the code. It hasn’t been tested by anyone but me, so consider this a beta with possible bugs. Fixed: 3.0 client launch from ARM caused the house scripts and some other minor things not to work, this is fixed now. Reduced memory usage by 30-40%. Added Data/”Reprocess data including mobs”. This does the same as if you enable mobs/bosses and load/process current session from the capture tool, in one click. Made the number separator unique for everyone. f.e 1,234 would look different depending on everyone’s regional settings, like “1 024”, “1$024” for chinese and other weird stuff; it will be “,” now for every user. Major change: added “counters”. You will see new skills in the skill list window, showing when mobs or opponents block your attacks, with either blocks (shield), skin type shields, evades, parries, and spell resists. You can filter these out easily as well as quickly show only those. 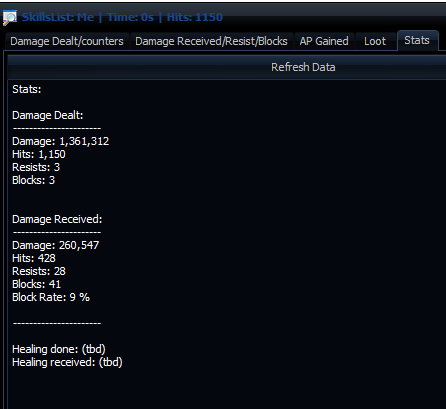 You can also view all the damage you’ve taken, from who, with what skills, what spells you resisted and what attacks you blocked etc. There is also a brief resume with some stats like block rate %. All these new details will also be included in new saved/loaded session files. Fixed issue with gold package time format (changed in 3.0 EU). Fixed: issue with main window location after restart in some monitor setups. Fixed “.online” command, since aioninfo.com website changed their layout etc earlier. Added a check for Aion running in full-screen mode, a warning will be raised on startup. Added player search (.ps or right-click) for US server Kahrun.